Based in England, GoBarging/European Waterways works with the English-speaking market worldwide. In continental Europe, the company operates luxury European barge cruises, with barges ranging in capacity from 4 to 20 people. All vessels are fully crewed with a Captain, gourmet chef, hostess and tour guide, with a private air-conditioned mini-bus taking passengers on excursions. Countries of operation include France, Italy, Scotland, Ireland, England, Germany, Belgium, Holland and Luxembourg. It is the only cruise company offering barge cruises in Scotland and in the Venetian lagoon and River Po valley, as well as the first company to offer an Avignon-to-Amsterdam 6-week trans-Europe cruise, a 1,000 mile journey alongWestern Europe’s inland waterways. The company offers daily itineraries that give passengers the opportunity to visit cultural and historical places of interest, vineyards and markets in each region. Also offered are tandem cruises for larger parties and a wide selection of themed cruises, such as wine appreciation, golf and even honeymoon charters on three barges. 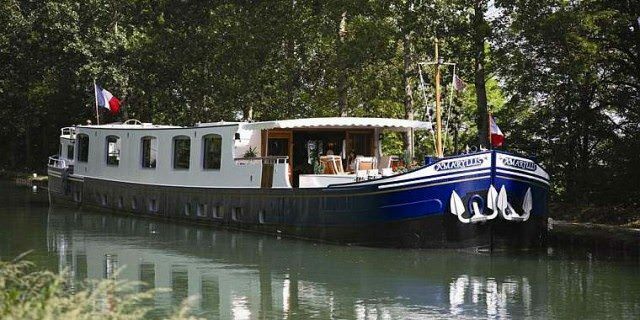 Go Barging was the first company to put a barge on the Upper Nivernais Canal in Burgundy, and in the “real” Loire Valley. It also is the only company with barges in Scotland and in the Venetian lagoon, as well as the first to offer an Avignon-to-Amsterdam six-week trans-Europe cruise. Luxury barge cruises are not inexpensive vacation experiences. 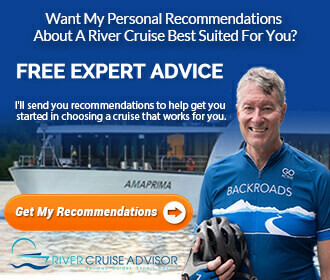 Rates ranges from $750 per person per day up to more than $1,000 per person per day, plus suggested gratuities from 5 percent to 10 percent of the total cost of the cruise depending on how generous you’re feeling. On a per-diem basis, barge cruises are certainly among the most expensive travel experiences offered. 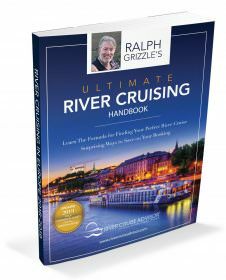 River cruises, by contrast, typically will cost you less than half the price of a barge cruise, but as is often said, you get what you pay for. I spent six days on European Waterways’ Panache, barging the canals of Alsace and Lorraine in France. I’ve put together a short video that aims to give you a bit of the flavor of the experience. Click the links below for ship reviews and related posts. Thanks. Fixed it and updated the page.